It is forty years since the Summer of Love. And there are “reenactments” up all over the country. I am trying to imagine what this group (many if not most in their sixties) looks like now. I remember the hit item at the time was LSD (and I do not mean the Mormons). This year I bet it is the guy with the Viagra stand that does well. So much for free love. When you hit sixty it could cost you a few dollars (even if it is only co payments). I remember this Summer of Love. I was still living in San Francisco although by then I had by then spent time in Asia and Europe. I was 22 years old.I had given up on the hippy life style although I still had a beard and long hair and working at the Langley Porter Institute which was actually on a hill that sort of looked down on the Haight Ashbury which was ground zero for the 100k people that came to SF to wear flowers in their hair. I had been a sort of founding member of the ‘hippy movement” although I never liked that term. But I did not make the whose who of hippydom. In 1963, I discovered a place on Fulton Street called the Blue Unicorn. It was owned by Bob Stubbs. It was a kind of coffee house but it was mostly about people like me who would go there for some coffee or food and sit around and read (we did not have notebooks, blackberries, cell phones, or any other form of electronic communications). They had a piano there that I sometimes played. And a back room where I once saw Bob Dylan. Alan Ginsberg would come in and I sat and talked with him on a number of occasitions and even went to a party at his apartment. I became friends with Norm Stubbs, Bob’s younger brother. 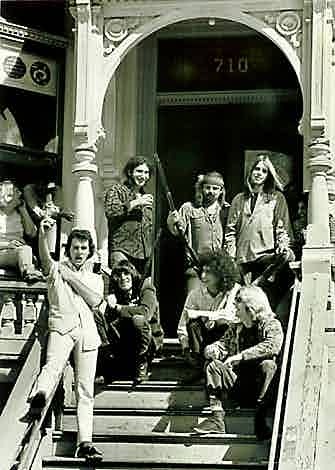 After a year or so, some similar places began to open up on Haight Street and slowly the action moved there. Bob actual opened a store right on the corner of Masonic and Haight Street. If was all kind of strange to me. I had spent many years as a child on that block between Masonic and Ashbery. My mother and step father had a donut store right in the middle of that black. And both my mom’s and dad’s families had lived in that area in the 20s and 30s. 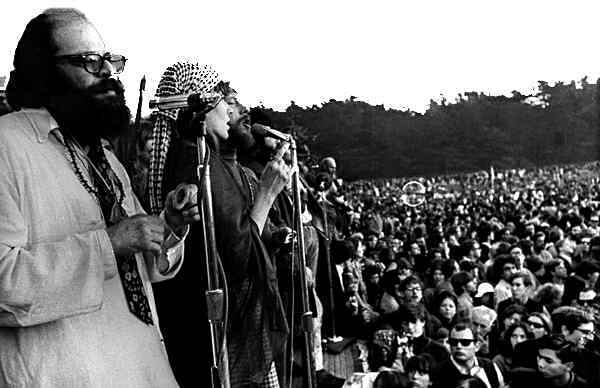 We all smoked pot and even took LSD (I had my first experience after visiting a dance performance at the Magic Theater on Divisidero street) And at that time the Rock movement was getting started. I got to know some of the members of the Jefferson Airplane and went to parties at the home of Jerry Garcia. But I did not care for this kind of music. Having studied classical music, I was falling in love with Jazz. Also I wanted to be a serious musician (composer not piano player that came later) and the musicians I knew were more in love with drugs than music. I use to joke that I wanted to practices and then get stoned and they wanted to get stoned and then practice. The exception to all this was Janet Joplin who I got to hear rehearshing. I was also busy with the anti war movement (Vietnam) and Civil Rights. Most importantly, I was in love. And when a few years later, my heart was broken I went to live in Paris and later London before coming back in 1966. I was pretty surprise to see that a our little movement had grown and accomplished much but also disappointed that so many of the people that came to SF in 1967 where not really looking for love. We are here to make a better world. No amount of rationalization or blaming can preempt the moment of choice each of us brings to our situation here on this planet. The lesson of the 60’s is that people who cared enough to do right could change history. We didn’t end racism but we ended legal segregation. We ended the idea that you could send half-a-million soldiers around the world to fight a war that people do not support. We ended the idea that women are second-class citizens. The big battles that we won cannot be reversed. We were young, self-righteous, reckless, hypocritical, brave, silly, headstrong and scared half to death. It was not on Fulton, it was on Hayes, 1927 Hayes st. We later turned that back room into an apartment. It worked for us . . . I stand corrected. Is Unicorner Norm or Bob? How cool was that – Bob Dylan and Janis Joplin!